On 15th May, ‘Cooperatives in development’ online platform was launched. 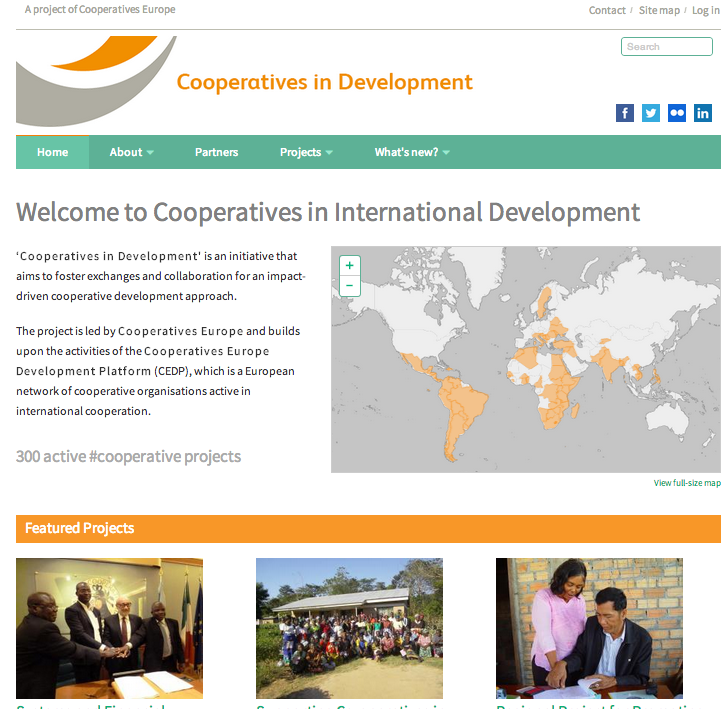 The new website showcases the international development projects that European cooperative organisations are carrying out all over the world. The online platform allows knowledge exchanges and facilitates the creation of partnerships with cooperatives, other stakeholders and donors. The website is part of the EU-funded ‘Cooperatives in Development’ project, implemented by the Cooperatives Europe Development Platform (CEDP). Read about 'Cooperatives in development project'. Go to the 'Cooperatives in development' online platform.